LA’s thriving art scene is arguably one of the most exciting cultural beats of the city. From the booming downtown LA Arts District filled with colorful street art, to award-winning architectural designs, Los Angeles is a city bursting with talented artists and interesting museums that span all forms of art. No matter what type of art you fancy or where your interests lie, there’s likely a museum dedicated to it -- and many are free of charge, so you have no excuse not to get cultured. Here’s a guide to local museums worth checking out on your next lazy Sunday. The 120,000-square-foot space at The Broad is two floors filled with canvases, sculptures, and immersive installations that will you give you sensory overload from the moment you step foot inside. 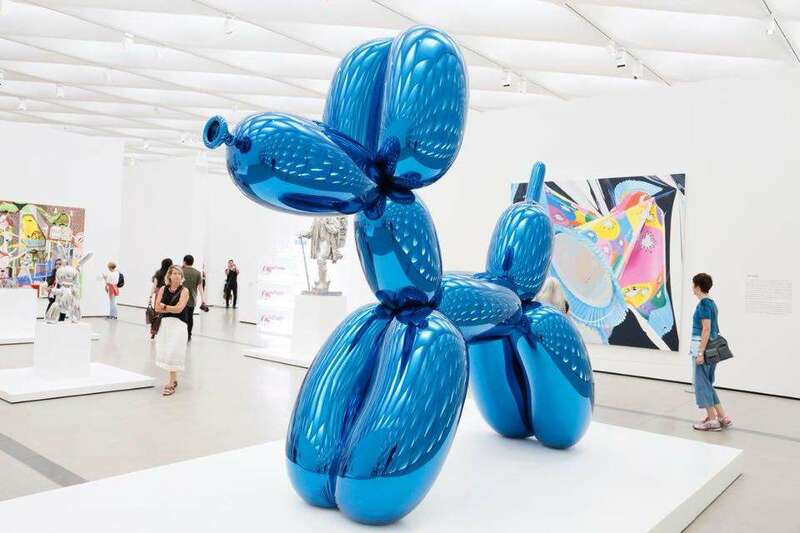 It’s hard to believe the entire collection of over 2,000 brightly-colored pieces of art on display -- like the giant balloon animal by Jeff Koons or the famous "Campbell’s Soup Can" piece by pop artist Andy Warhol -- is all privately owned by philanthropists Eli and Edythe Broad. The Broad is the kind of museum that even non-museum-lovers can appreciate, because the collection’s varied enough that there’s something for everyone. What to know before you go: The Broad is open 11am to 5pm Tuesday and Wednesday, 11am to 8pm Thursday and Friday, 10am to 8pm Saturday, and 10am to 6pm Sunday. General admission is always free, but it’s done through a reservation system, so plan ahead. Various program of events listed here. The Natural History Museum is a collection of culture and nature ranging from a Gems and Minerals exhibit, to a Dinosaur Hall and even an exhibit which explores the history of LA (currently closed through May 31) called "Becoming Los Angeles." There’s an exhibit for every type of animal lover, as well as ongoing special exhibits like Emancipation Proclamation (currently open through May 14), which gives viewers an exclusive look at a copy of the Emancipation Proclamation signed by Abraham Lincoln. The museum also hosts a series of events during the spring and summer season, known as First Fridays and Summer Nights in the Garden, respectively. First Fridays is a themed event series where guests can explore the museum after hours, listen to live music, participate in themed discussions, eat from food trucks, and get a behind-the-scenes museum tour. During the warm summer nights, guests can soak up the natural beauty of the garden at the appropriately named Summer Nights in the Garden. What to know before you go: The Natural History Museum is open 9:30am to 5pm daily. Admission is $15 for adults, $12 for seniors over 62, students with ID, and children 13 to 17, $7 for children 3 to 12, free for children under 2. If you ever wondered where Michael Jackson’s sequin glove was, wonder no more: it’s right here at the GRAMMY Museum. The LA Live museum follows the musical careers of some of the most iconic names in the industry, from Katy Perry to Bob Dylan, and has some of their most memorable wardrobe pieces on display. In partnership with American Express, the museum also regularly hosts intimate performances and conversations with artists and documentary filmmakers; more information can be found here. Viewers get an inside look at the entire musical journey from song inception to completion, culminating with the highest form of recognition in the industry (and ¼ of an EGOT), a golden GRAMMY award. 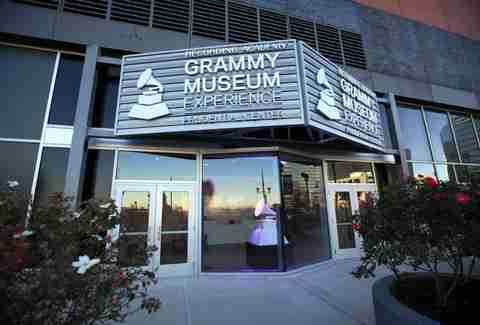 What to know before you go: The GRAMMY Museum is open 10:30am to 6:30pm Monday through Friday, and 10am to 6:30pm Saturday and Sunday. Admission is $12.95 for adults, $11.95 for college students with ID and seniors over 64, and $10.95 for children 6 to 17 and military personnel with ID. Fashionistas might recognize the eponymous museum as the same Marciano brothers who created the legendary GUESS? brand; the art-collecting duo decided to start a foundation to give rising artists around the world a platform to showcase their work. Currently, the museum features over 1,500 works of art by 200 artists across all artistic mediums, from sculptures to digital art. Currently on display is an installation by Olafur Eliasson called Reality Projector, which converts the entire first floor into an abstract 3D film using colorful lights and space. What to know before you go: The Marciano Art Foundation is open 11am to 5pm Tuesday through Friday, 10am to 6pm Saturday, and 11am to 5pm Sunday. Admission is always free. Yes, there’s a museum dedicated to selfies (only in LA, right?). 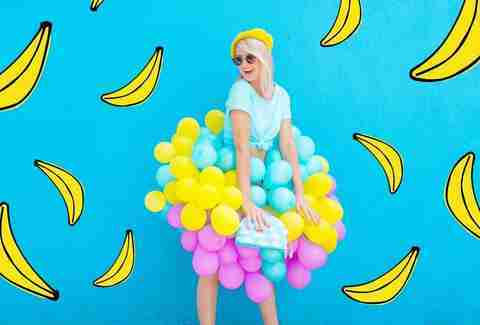 It’s the latest interactive pop-up museum to hit the “Instagram-museum” circuit and seems to be all the craze following the recent Museum of Ice Cream, Happy Place, and Candytopia. The Museum of Selfies is a limited-time engagement that features 15 exhibits, which tell the story of selfies throughout history and art dating back 40,000 years. It also features a record-breaking selfie stick that’s over 90-feet long, and a recreation of some of the most common selfie scenes like the “car selfie” and the “bathroom selfie,” as well as a selfie-opp inside a recreated Van Gogh painting. The highly visual and immersive museum also collaborated with several local artists often associated with selfies like Colette Miller (best known for her angel wings), to create unique installations such as a 3-D sculpture of her wings made entirely of tires. 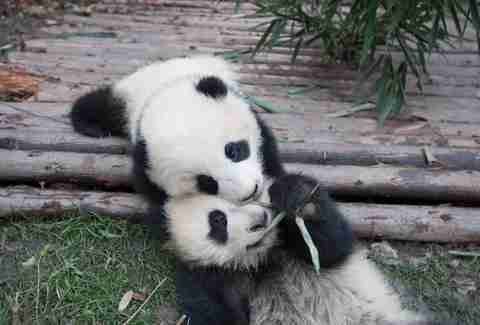 Finally: a place your selfie sticks are not only welcomed, but encouraged! What you need to know: The Museum of Selfies runs from April 1 through May 31, and is open 12pm to 8pm Tuesday through Thursday, 12pm to 10pm Friday and Saturday, and 12pm to 8pm on Sunday. Admission is $25 for all ages. Ride a big California wave, re-enact a scene from a sci-fi movie, or pretend to be Jack and Rose and watch the Titanic sink. At the Museum of Illusions, you’re part of the art, except nothing you see is what you think it is... just like Hollywood (where the museum is located). Over 30 different larger-than-life murals are on display, each offering a different perspective trick and scene, so you can step in and create an illusion that will make your Insta followers scratch their heads (unless they’ve been here too). What to know before you go: The Museum of Illusions is open 10am to 12am daily. Admission is $25 for adults, $10 for children 6 to 12, and $75 for a VIP ticket (which includes skipping the line, personal photo shooting, and a special gift. 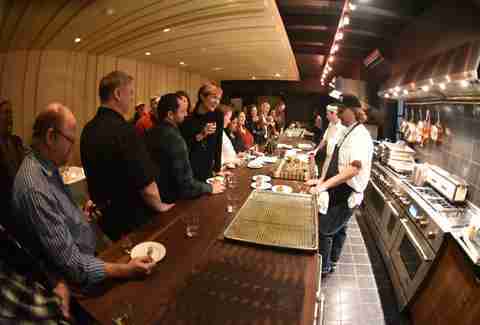 A division of the National Food & Beverage Foundation (NatFAB), the Pacific Food & Beverage Museum in San Pedro uses exhibits, curated dinners, seminars, and other programming events to celebrate the culinary innovators who have influenced our nation’s cuisines. Take a deep dive into the history of certain foods, cuisines, and culinary processes like jamming during their Pacific Taste workshops, or learn about the artistry behind chefs’ tattoos in the current photography exhibit called "Shakers, Knives, and Irons." What to know before you go: The Pacific Food & Beverage Museum is open 12pm - 5pm Thursday through Sunday, and admission is by suggested donation. If you’re expecting to see a collection of dinosaur fossils or archaeological specimens here, you’ll be quickly disappointed. You’re more than likely to walk out of the Museum of Jurassic Technology a bit confused and curious about what you just experienced, because no one really knows what the museum is all about. It’s filled with cultural obscurities and strange objects that don’t seem to make any sense, like mice on toast, or a horn said to come out of a woman’s head. But isn’t that what museums aim to accomplish -- awaken the imagination and strike conversation? Unlike some of the other museums listed, this one prohibits photography, so save your selfies for another time. What to know before you go: The Museum of Jurassic Technology is open 2pm to 8pm Thursday, and 12pm to 6pm Friday through Sunday. Admission is $8 for adults, $5 for children 13 to 21, students, people over 60, and unemployed people, $1.50 for disabled people and active service personnel in uniform, and free for children under 12. 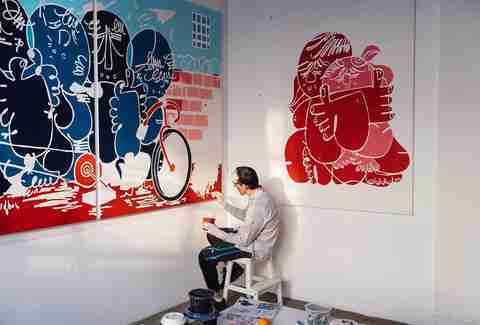 While this isn’t exactly a museum, it’s still worth including here: a limited-time art exhibit featuring the works of some of the world’s most recognizable street artists like RETNA, Shepard Fairey, and Keith Haring. Curator and graffiti enthusiast Roger Gastman, who also organized Art in the Streets at MoCa back in 2011, decided to put together a second iteration of the exhibit which is meant to take a closer look at the artists behind the paint, housed in a 40,000 square-foot space that will be filled with both interactive and visual installations. What to know before you go: Beyond the Streets is open 12pm to 7pm Tuesday through Sunday, from May 6 through July 6, 2018. Admission is $25 for anyone ages 3 and up, and free for children under 3. You’ll want to make sure to purchase tickets in advance online, as they will not be guaranteed available at the box office. While the art inside the Getty Center comes from world-renowned artists like Michelangelo and Van Gogh, the lush, perfectly manicured garden outside is equally impressive. The architecture and views from the Garden Terrace alone are worth a visit, just to stroll the museum grounds and take in the spectacular views of the city. Of course, the permanent collection on display is no slouch either, and includes European and American art from the 19th and 20th centuries. The museum’s sister property, the Getty Villa off PCH, focuses on Greek and Roman art -- in case it wasn’t obvious from the classic Roman columns and country house design. What to know before you go: The Getty Museum is open 10am to 5pm Tuesday through Friday and Sunday, and 10am to 9pm Saturday; admission is always free. The museum offers daily architectural tours, and a summer concert series called Off the 405, as well as other events year-round. For more information, check out the calendar online. Geek out at this downtown LA museum that explores some of the natural world’s most fascinating topics, with special exhibitions like The Science of Fear, and a showcase of actual artifacts from King Tut’s tomb (one of the largest King Tut exhibits in the world). You can also watch a film on the seven-story IMAX screen, or marvel at permanent exhibitions like the 122-foot long space shuttle Endeavour, and the only A-12 Blackbird trainer plane ever built. This place is one giant classroom for kids and adults. What to know before you go: The California Science Center is open 10am to 5pm daily, and admission (except for IMAX and special exhibits) is always free. The museum also hosts special events like the California State Science Fair and the annual Discovery Ball gala, details of which can be found here. If you’re in the mood for a star sighting (as in Alpha Centauri, not Mena Suvari), you’ll love Griffith Observatory. Free public telescopes are available every night, so you can peer through the Observatory’s Zeiss 12-inch refracting lens and see the Moon like you’ve never seen it before. While most locals skip the dome, you’ll find the 290-seat Samuel Oschin Planetarium inside, offering three live projection shows presented by a storyteller. And whether you decide to drive or hike to Griffith Observatory, you’ll always leave starry-eyed after enjoying the best views of the famous Hollywood Sign. Free public star parties are held once a month, where astronomers are onsite to answer your burning questions about the galaxy and guide you in spotting the visible planets. The Observatory also hosts monthly hikes led by a Park Ranger and Museum Guide called Sunset Walk & Talk, where you’ll walk approximately half a mile on the Charlie Turner trail with historical insights and facts shared along the way. What to know before you go: The Griffith Observatory is open 12pm to 10pm Tuesday through Friday and 10am to 10pm Saturday and Sunday, and admission is always free. We’d be remiss not to include LACMA or MoCA in a museum roundup, because it’s hard to call yourself an Angeleno if you haven’t been to either one. 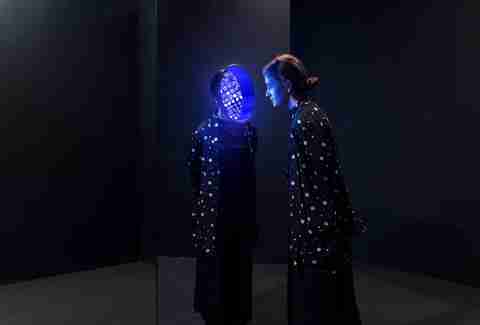 While the Urban Light installation outside LACMA may be the reason some people visit the museum -- it’s definitely one of LA’s coolest attractions -- there’s a lot of other cool art inside that’s worth checking out. The museum is the largest in the Western US with a collection of over 135,000 works of art that parallel LA’s melting pot of cultures and rich history. It also has a solid (but pricey) outdoor restaurant called Ray’s & Stark Bar, which is great for happy hour or a bite between exhibits. The Jazz at LACMA summer series is a free outdoor performance by SoCal jazz musicians with special appearances in the past by jazz legends like John Clayton, and Billy Childs. What to know before you go: LACMA is open 11am to 5pm Monday, Tuesday, and Thursday, 11am to 8pm on Friday, and 10am to 7pm Saturday and Sunday. Remember that time Harley Davidson decided to launch a perfume line? Or when Apple invented a line of personal digital assistants called the Newton? These and over 100 other items on display at the Museum of Failure all share one thing in common: they were total flops. The museum’s creator, Dr. Samuel West, originally launched the museum in Sweden, eventually bringing it to Los Angeles (the city of rejection) in hopes of encouraging others to embrace failure and even divulge their own mishaps on a Post-It. And it wouldn’t be a proper Museum of Failure without at least one reference to Trump, would it? What to know before you go: The Museum of Failure is open 10am to 10pm Monday through Saturday, and 10am to 7pm on Sunday. Admission is $19 for adults, $14 for seniors, students, and military with ID, $12 for children ages 6-12, and free for children under 6.